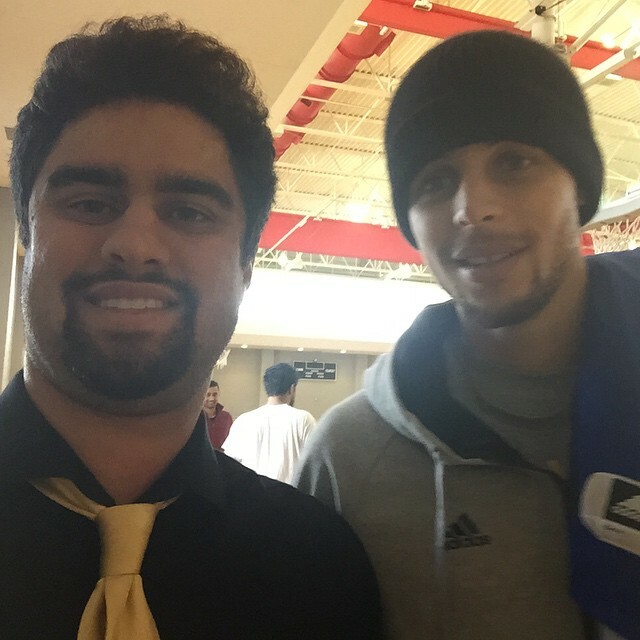 As part of iFolloSports.com's ongoing photo submission contest, Kyle Mansour from Michigan sent in the above photo of him and Warriors star Stephen Curry. The picture was taken at Oakland College, during the Warriors recent visit to Motown that also produced this video of Curry signing autographs at the Palace of Auburn Hills. GSW conducted practice at Oakland University.